Mitch and Ruth are seriously two of the finest people you could ever meet, and most importantly they are seriously in love! 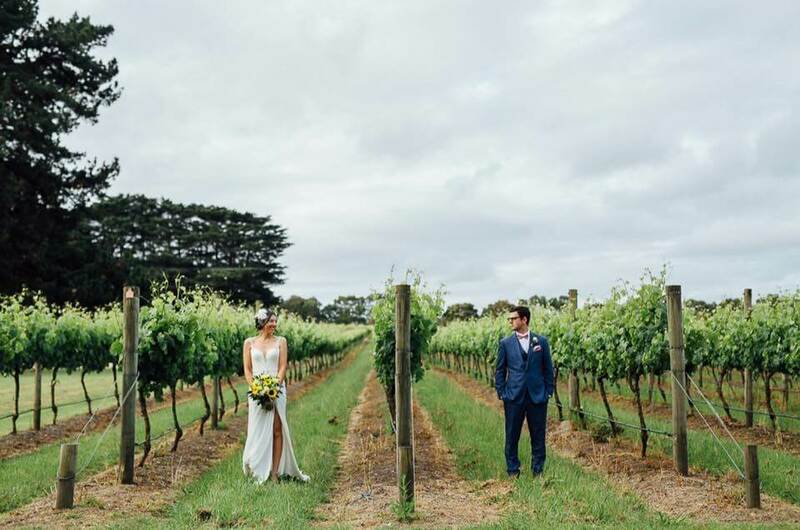 Their wedding at the gorgeous Barn & Co on the Mornington Peninsula, was one of their favourite places to come whilst they were dating; it was a place where they have always felt at home and relaxed. Having created so many wonderful memories there over the last few years, made the decision to have their wedding on these beautiful grounds very easy. 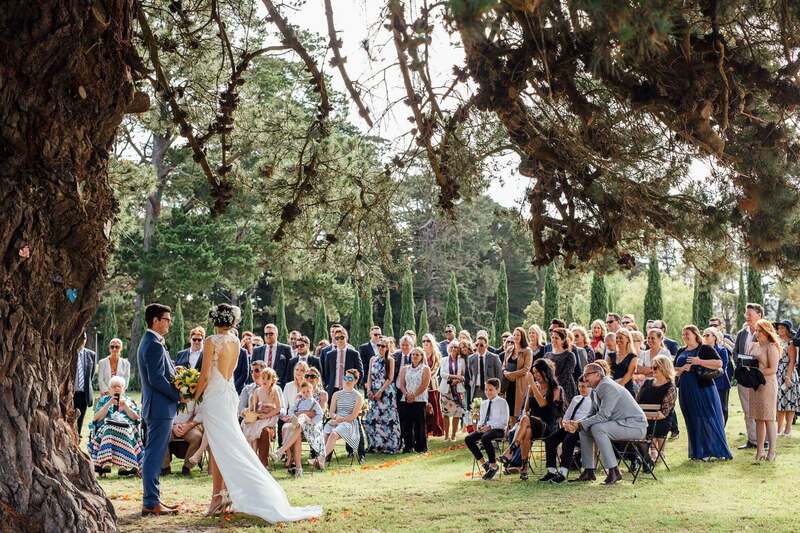 Mitch and Ruth wanted their wedding ceremony to be fun, relaxed, and it was super important to them that everyone be as happy as they were! The excitement was palpable! Before their family and friends, we retold the story of how they met in 2014, when Ruth, an equine vet, was on a job interview at Mitch’s stables. Mitch was assistant trainer at the time and was far from impressed with, and I quote, “this new sheila from Queensland with her tan and her shorts coming down here thinking she can tell me what’s what”. Ouch! After a while, having given Ruth a chance, he soon changed his opinion and they quickly became best friends and were inseparable once they got to know each other. Before Mitch and Ruth knew love they knew friendship, and they make each other so happy just being themselves, each of them accepting the other for who they are and nothing more. 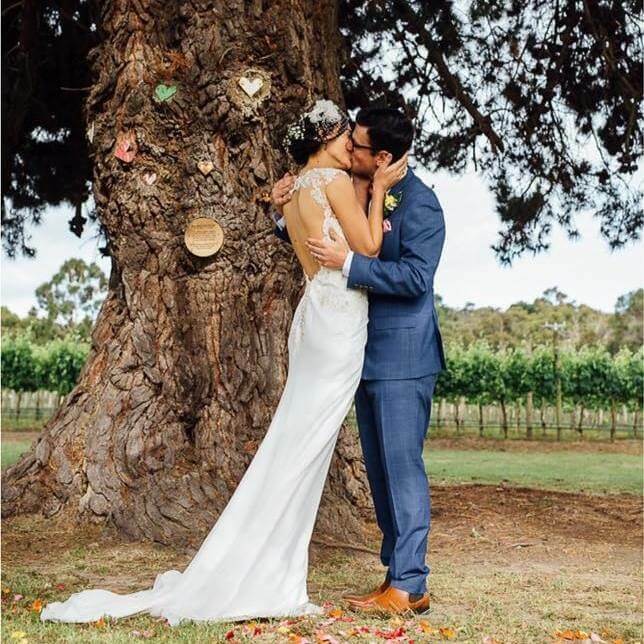 I was so excited to pronounce them husband and wife, but clearly not as excited as they were – check out this first kiss! I am always so happy when couples want to add personalised touches to their wedding and really make it theirs. 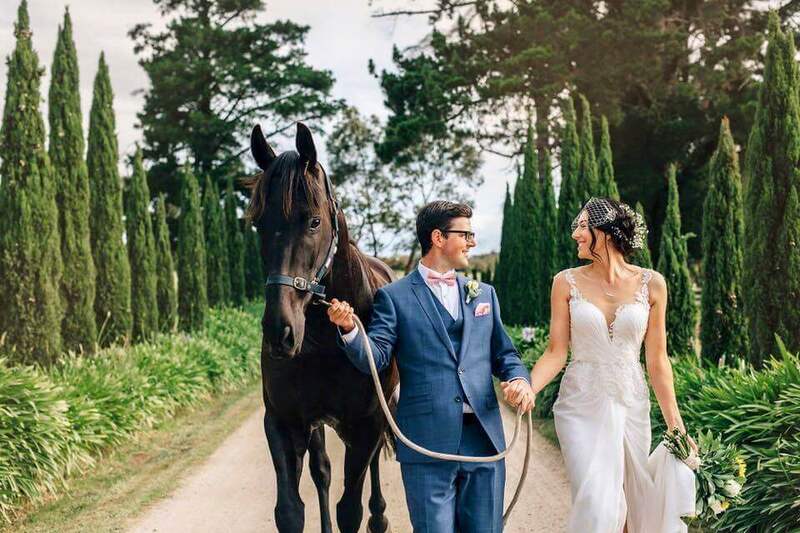 Ruth and Mitch did that by bringing along Ruth’s beautiful horse Tommy to share in their special day, and get in on the photo shoot too! I absolutely love this shot that Danni from Sean and Danni Photographers was able to capture of the three of them together. The image reflects them perfectly and their beaming smiles say it all – we’re happy and we’re married! Michelle- where do I begin! She is one of the most wonderful, kind and genuine people you will be lucky enough to guide you through this experience! An absolute treasure, so helpful and really could not have imagined any one doing a better job then her. She really got the relaxed and loving vibe of our day and truly went above and beyond for us.